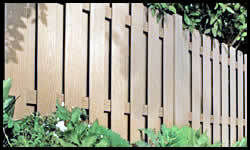 Fence Company Wisconsin | Fence Link Inc. 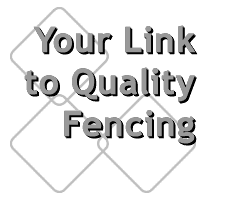 Fence Link Inc is a local fence company who provide fence installation and fencing services throughout Brown, Kewaunee, Marinette, Oconto, Outagamie and Shawano Wisconsin. 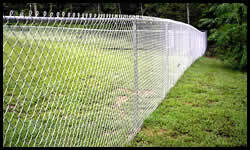 Our fence company can install fencing for residential, commercial, industrial, public works and agricultural industries. Whatever your fencing needs are, Fence Link Inc is your single source for fence products and a trusted fencing installation company. Our experience in fencing no matter if it's vinyl fencing, pvc fencing, wood fencing, chainlink fencing, decorative fencing, temporary fencing, sports complex fencing, dog kennels, snow fencing, pool enclosures or privacy fencing. 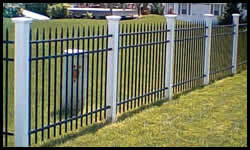 Fence Link Inc is the fence company you can trust to do the job right. Once you have selected your fencing materials either with us or if you already have it, Fence Link Inc is the professional fence installation company you can trust. Installing a fence seems easy, but to make it lasts it takes a professional fence installation company who understands structural integrity and safety along with the appearance of the fence. Fence Link Inc has a wide variety of fencing products and with the expert installers we have you will always be satisfied with the fence we install for you. If you live in Ashwaubenon, Denmark, De Pere, Green Bay, Howard, Ledgeview, Pulaski, Suamico, Wrightstown, Kewaunee, Luxemburg, Wausaukee, Abrams, Lakewood, Oconto and Oconto Falls, Wisconsin.